As busy hoteliers it sometimes feels like we rarely get time off. Indeed, as the people at the front line enthusing to tourists about what a fabulous place the Scottish Borders is to visit, it is very important that we have the opportunity to enjoy what the area has to offer ourselves. So I thought I would tell you about some of my favourite things to do in the Scottish Borders when I have a precious day off from the hotel. The Scottish schools are now back in for another new term but during the holidays one of our favourite family outings is a visit to Glentress Forest Park near Peebles. Glentress is only a half an hour’s drive from Melrose on the scenic A72 following the banks of the River Tweed. The forest park is one of the famous 7 Stanes Mountain Biking Centres with award winning trails which attracts riders from across the world and home to a number of exciting cycling/ mountain biking events such as the Tweedlove Festival. Glentress makes an ideal family day out with routes for the more adventurous and also easier routes for beginners both young and the not so young! There is ample (paid) parking at Glentress as well as bike hire, a café to take a break in or recover in afterwards as well as showers and changing facilities should you need them. Glentress also boasts a Go Ape. We would advise you to book in advance as it does tend to book up quickly. Go Ape offers a chance to zoom over the Tweed Valley on a zip wire as well as Tarzan swings, rope ladders and other adventures. Glentress Forest Park also has many walks and is very popular with locals and visitors who want to meander through the forest and enjoy the stunning views. 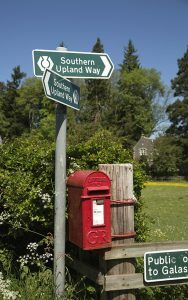 Walking is one of our favourite pastimes and we are spoilt for choice with the Borders Abbey Way, St Cuthbert’s Way and the Southern Upland Way all on our doorstep. We make sure that we get out walking as often as possible and one of our favourite walks is Melrose to St Boswells. There are various routes you can take, the first is to follow the first stage for the St Cuthbert’s Way over the Eildon Hills. You can if you are feeling fit climb all three Eildon Hills and the route offers magnificent views of the central Borders across to the Cheviots. It then takes you through the picturesque village of Bowden before walking to Newtown St Boswells where you follow the path along the river to St Boswells. 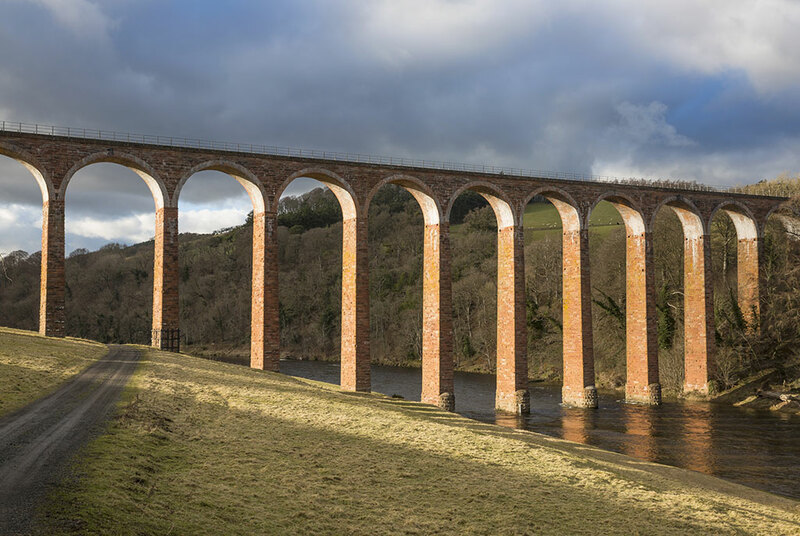 Alternatively, you can walk along the River Tweed from Melrose to St Boswells and if you take a small detour you can also visit Dryburgh Abbey where Sir Walter Scott is buried. Both routes are favourite walks of ours and offer a real insight into why we have some of the best walking routes in the country. But whichever walk we do, we always ensure that we have time to spend at Mainstreet Trading in St Boswells. Mainstreet Trading boasts a bookshop, gift shop and deli as well as a café which welcomes many visitors including walkers. We always feel quite justified in enjoying a bowl of soup and of course a slice of cake after our walk there and would highly recommend it. You can then walk back to Melrose, or alternatively, there is a regular bus from St Boswells to Melrose to right outside Burts and the Townhouse Hotels. I hope you enjoy reading about some of the things we like to do on a day off and that it gives you some inspiration for your next visit to the Scottish Borders.